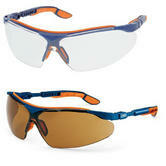 Uvex first made its name protecting people's eyes from Ultra Violet Exposure (UvEx - get it?). 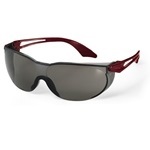 Uvex German-engineered safety eyewear is still a market leader: Uvex Skyper safety glasses and Ultravision and Ultrasonic safety goggles are as popular as ever...and with good reason. 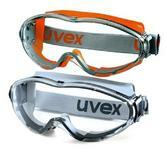 Uvex supravsion lens technology - which is used on most Uvex safetyglasses and goggles, combined anti fog coating with the UV protection that the company is famous for. 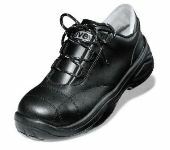 Uvex has expanded, very successfully into other areas of PPE, including Uvex Safety footwear. 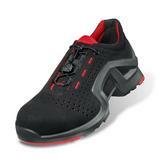 The Uvex Quatro 8415.2is a brilliant range of premium performance safety boots and shoes. 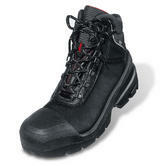 The Uvex Quatro Gore-Tex is an award-winning, waterproof, breathable Uvex safety boot. The Quatro safety boots are amongst our most popular boot: great German engineering, with exceptional comfort, not least because of the Uvex Hydroflex shock absorbing gel insoles. Regardless of whether you buy Uvex footwear, we strongly recommend you buy Uvex Hydroflex gel insoles - as they enhance the comfort of ANY footwear. The Uvex safety gloves range is focussed on neat, dexterous coated gloves allowing nimble access while protecting the hand. 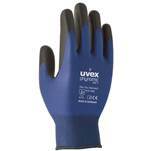 The Uvex Phynomic 60060, is a super grippy, yet very fine glove. 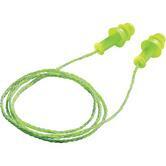 It is good for wet handling especially. The Uvex Profas range of knitted, dipped gloves are grippy yet typically have excellent Cut 3 protection.